The Conquistador who discovered and named “El Paso del Norte”: Don Juan de Onate. Commemorated by the largest bronze equestrian statue in the world by artist John S. Houser, installed at the El Paso International Airport on October 31, 2006. EL PASO, TEXAS. It was a long, hard trip for the several hundred soldiers, priests and settlers in the expedition led by Don Juan de Onate Salazar from the interior of New Spain (now Mexico) to the Northern reaches of present-day New Mexico in 1598. The caravan of “carretas” (large ox-drawn carts), horse-drawn wagons, soldiers – both mounted in light armor and marching, civilian mercenaries, Catholic priests and settlers with their cattle and other livestock stretched into the distance for a couple of miles. The grueling crossing of the expansive Chihuahua Desert required strict water rationing, and travel was limited to the evenings and early mornings so as to avoid the heat of the scorching sun. About half-way through their journey, entering the Rio Grande Valley from the south in late April 1598 (the valley shared today by El Paso, Texas and Juarez, Mexico) the horses and cattle broke for the banks of the wild river that flowed through a gap in the mountain ranges. Thirsty for water, some of the stock were said to have died from drinking too much as their handlers tried in vain to keep them back. The expedition camped on the banks of that wild northern river and hunted wild game in the marshes and bosque that grew along the edges of the sandhills that funneled this ribbon of life through such a parched land. A great feast and celebration was held by the party of adventurers on April 30, 1598 thanking God for bringing the party through this first portion of their expedition safely. It is noted that the celebration was marked by the expedition leader, Don Juan de Onate, himself, performing a Taking (or “Toma”), claiming all the lands, animals and plants in this new continent for King Philip II of Spain. Here was the FIRST THANKSGIVING celebrated on what would someday be American soil, this, some twenty-three (23) years before the Pilgrims arrived and celebrated the better-known holiday at Plymouth, Massachusetts in 1621! 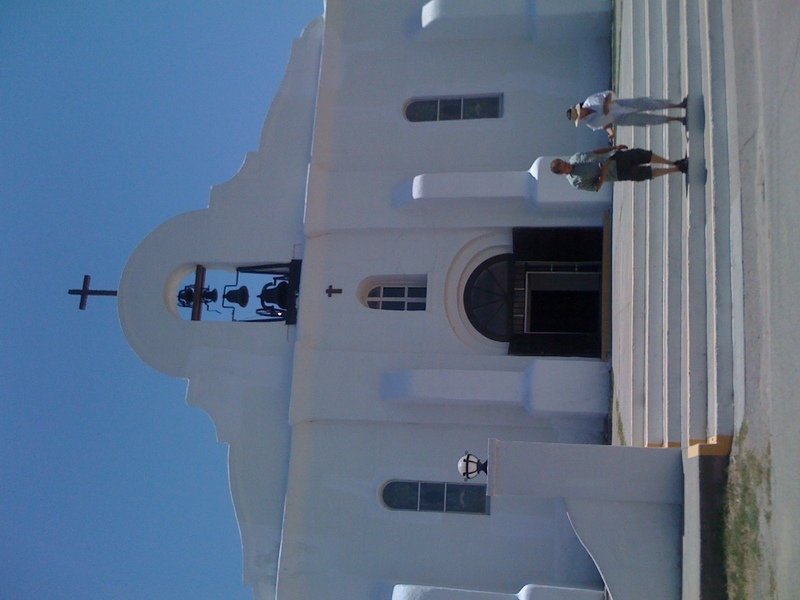 Today, the well-preserved Presidio of San Elizario stands near the location of that historic Thanksgiving Celebration in 1598. San Antonio, a more widely recognized early Spanish settlement in the New World, would not even be discovered for over a hundred more years. 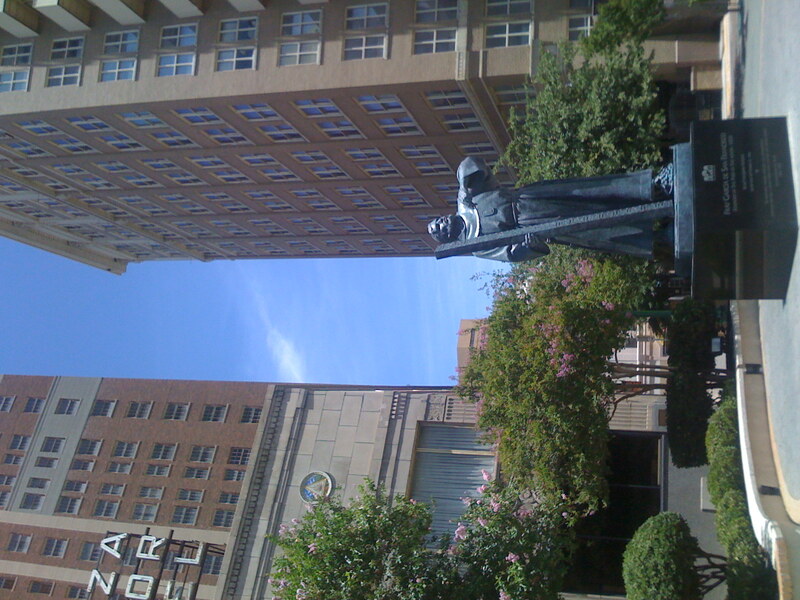 Fray Garcia de San Francisco is heralded as the official “founder” of the settlements at the Pass of the North, where the sister cities of Juarez and El Paso share a common international boundary marked by the Rio Grande, one of the world’s largest international metroplex. Little is known of his birth except that his family came from the Spanish Province of Old Castile. His first name, Garcia, is unusual and was probably his father’s surname. His second name signifies his membership in the Franciscan Order, he was a priest of the Barefoot Friars of San Diego. He became acquainted with the region in the early 1600’s, traveling with Fray Antonio de Arteaga to reinforce mission work in the Province of New Mexico. In 1630, Fray Garcia was given charge of the new Piro Indian Mission of Senecu near modern day Socorro, New Mexico (about 120 miles north of El Paso). That same year, the Manso Indians at the Pass of the North requested a resident missionary. This tribe was probably the most southern of the Rio Grande Pueblo Indians, who lived in small family bands along the Rio Grande from Presidio, Texas to Las Cruces, New Mexico and possibly northwest into the Gila River basin and mountains. 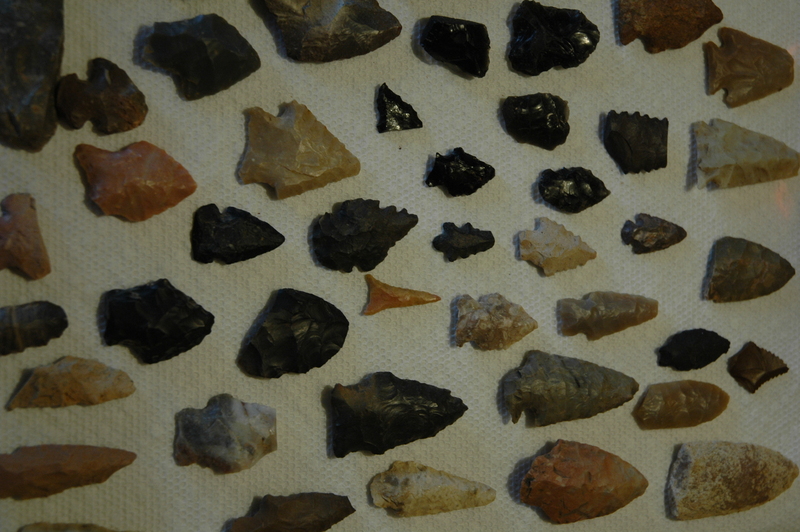 The Mansos cultivated corn, beans and squash, and hunted water fowl, deer, rabbits and rodents. Responding to the call, Fray Garcia arrived at the Pass of the North in late 1630 with two assistant priests, sometime later returning to Senecu and leaving the assistants to care for the Mansos. 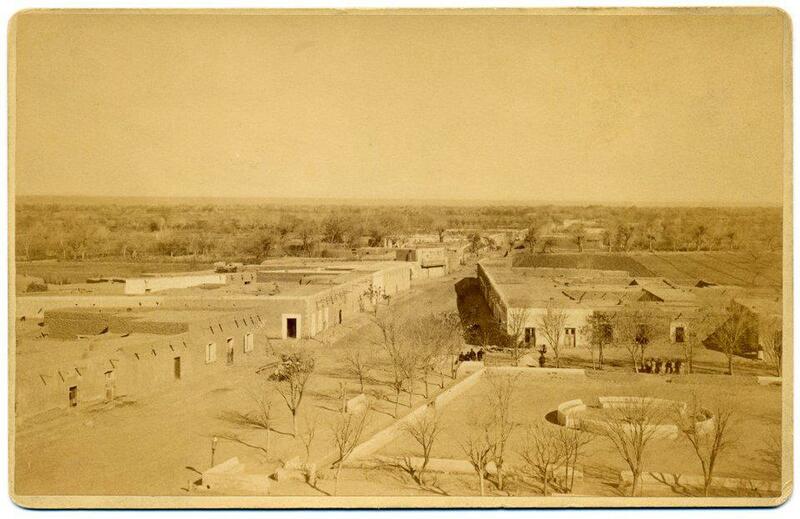 For unknown reasons, the Mansos became hostile and threatened the newly-arrived missionaries, Spanish soldiers arrived and rescued the priests and returned them to the northern capital of New Spain in Santa Fe. 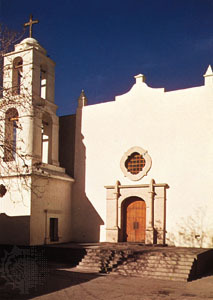 Nearly thirty years later, in 1659, Fray Garcia once again returned to the Paso del Norte, determined to establish a permanent mission at this strategic location on the Camino Real (the Royal Road) between Mexico City and its capital of New Spain, Santa Fe. Choosing an elevated rock terrace that was protected from seasonal Rio Grande flood waters, and with the help of some friendly Manso Indians as well as neighboring Suma Indians (nomadic hunter-gatherers who ranged from the Rio Grande south to the eastern flanks of the Sierra Madre in Chihuahua) and ten Piro Indian familes, the tiny settlement on the southern bank of the river began building a large permanent church, Nuestra Senora de Guadalupe, which was formally dedicated January 16, 1668. 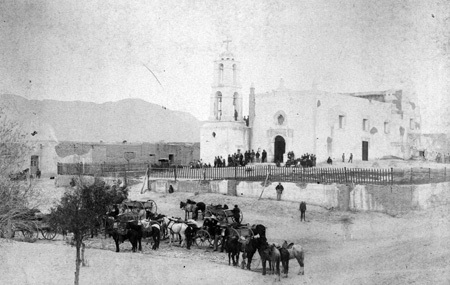 That mission still stands today in downtown Cd. 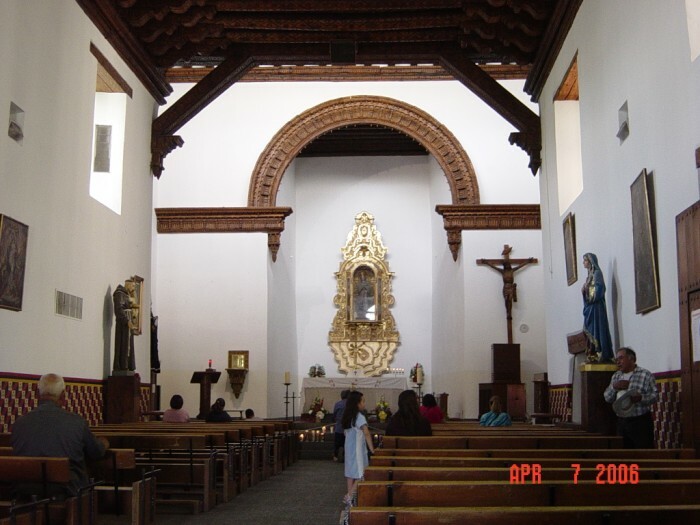 Juarez, and is a beautiful example of 17th Century Rio Grande Mission architecture. Fray Garcia is not only the recognized founder of the Pass of the North, he introduced the region to European culture, learning, and agriculture. Of significance there, were the ubiquitous acequia (irrigation canals), grape and fruit orchard cultivation and livestock production. For over 250 years thereafter, the Pass was famed for its quality wine and a potent “Paso Brandy”, distilled from local grapes. 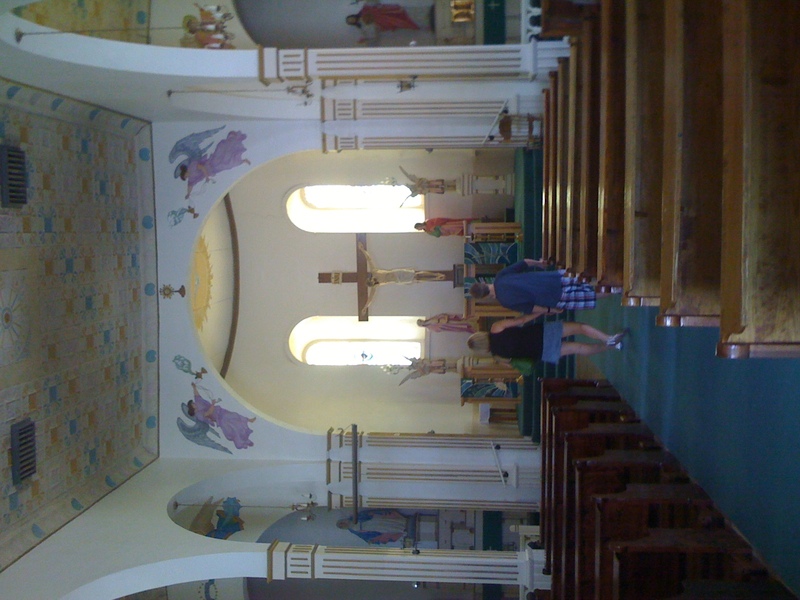 His first church, the Guadalupe Mission in Cd. 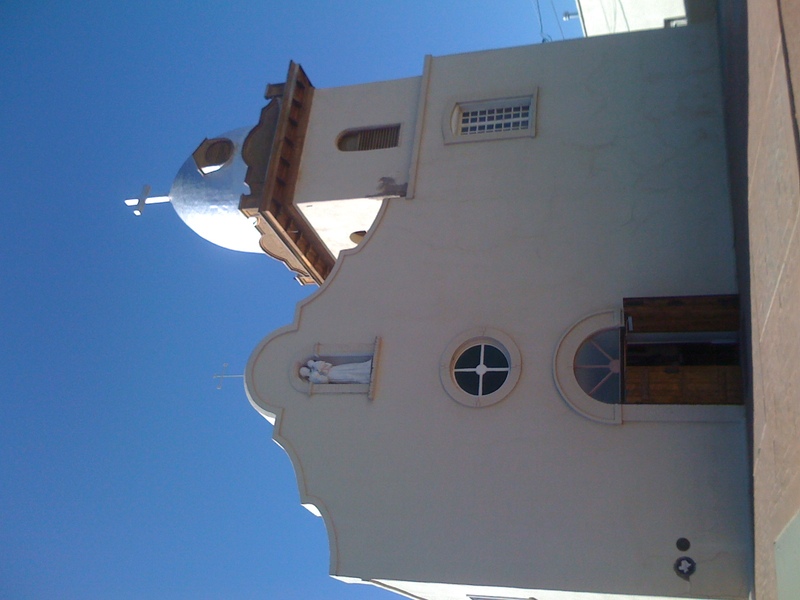 Juarez, is considered the “mother church” for all other Roman Catholic missions serving the El Paso Valley. Those missions (and their ethnic Indian affiliations) include the following: On the southern bank of the Rio Grande, now Mexico, were the Senecu del Sur Mission (Piro) and the San Lorenzo Mission (Manso, Suma, Tlaxcala and Spaniard). On the northern bank, now the United States, were the Ysleta del Sur Mission (Tigua) and Socorro del Sur Mission (Piro). 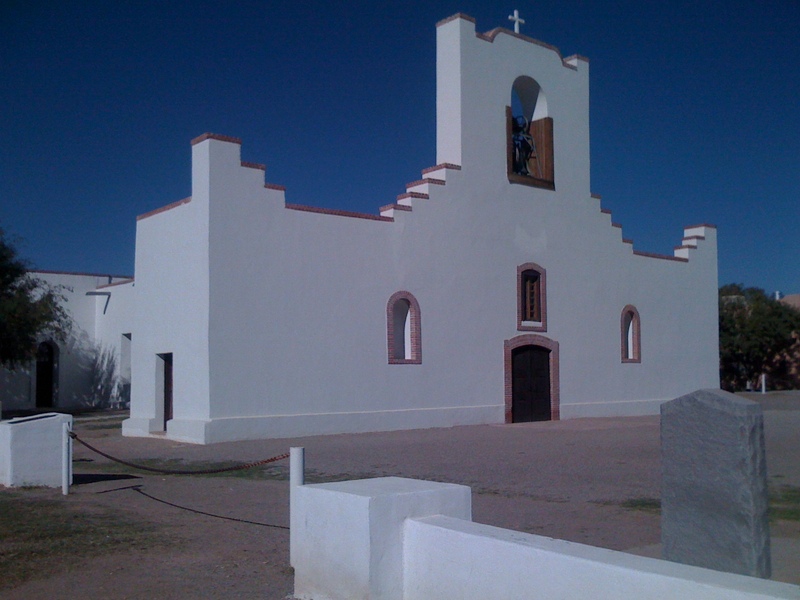 In 1789, the Spanish military garrison founded the San Elizario Presido which contained a presidial chapel, school and a mission for the Apache and San Elceario tribes. Fray Garcia de San Francisco served at the Pass of the North for twelve years, returning to Senecu Pueblo in New Mexico where he died January 22, 1673. 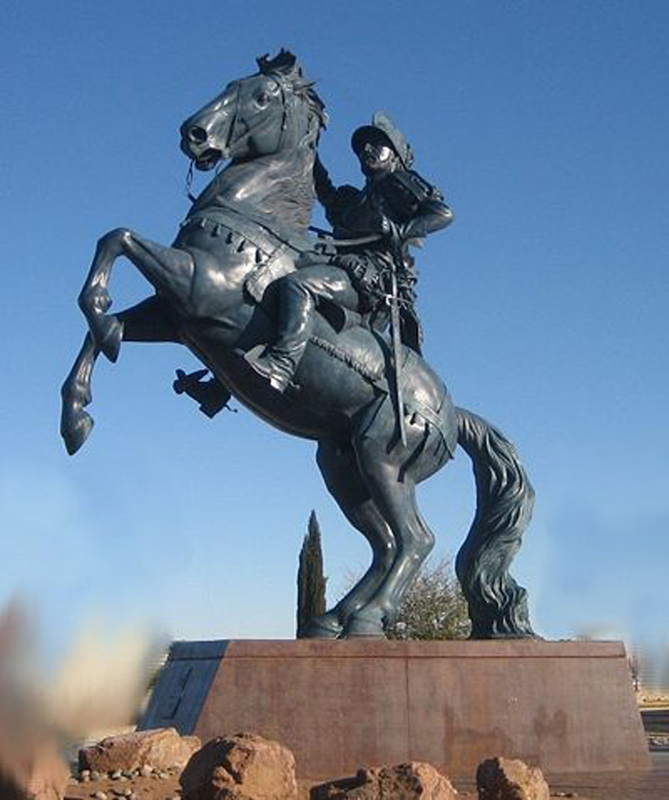 His statue in Downtown El Paso is the first of the Twelve Travelers series commemorating persons of significance to the El Paso del Norte region. It was commissioned of sculptor John Sherrill Houser and built between 1994 and 1996, assisted by his son Ethan Taliesin Houser in the enlarging process. The bronze was cast and installed in Pioneer Plaza, Downtown El Paso, by MC3 Foundry of Los Angeles, California on September 26, 1996. The 14-foot statue is the largest standing bronze figure in the State of Texas (see photograph above). 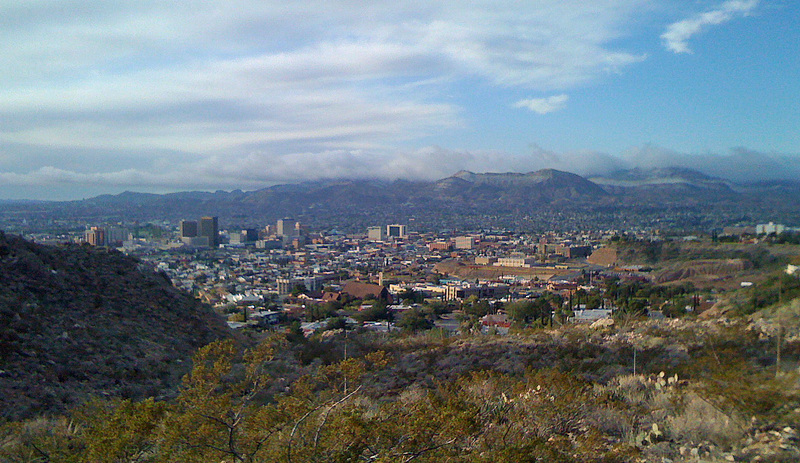 View of the Pass of the North today, looking south from Scenic Drive: Downtown El Paso, Texas and Juarez, Mexico – two cities, two countries, one community of over 2 million people! ~ by Dave Etzold on July 6, 2010.